Toyota RAV4 Interior, Sat Nav, Dashboard | What Car? While drivers of all shapes and sizes are well catered for, you’ll need to step up to pricier Excel trim to get adjustable lumbar support to help keep your posture correct on longer journeys. Take this financial leap and you’re also treated to full electric seat adjustment with a memory recall function. Whichever version you go for, the RAV4's driving position is high enough to make you feel like you’re in a proper SUV. The large centre armrest is also a real boon. That SUV flavour is further imbued by chunky dashboard controls, and the great news is that they’re clear and easy to reach. By contrast, some of the systems in the rival Honda CR-V, especially the trip computer and adaptive cruise control, are highly confusing to use. Seeing out of the RAV4 is pretty easy: the windscreen pillars aren’t too thick so your vision isn’t badly obscured at roundabouts, and the rear screen is both wide and deep. The rearmost side windows give you a clue of what’s over your shoulders, but there’s still a thick rear pillar on each side that obscures potential hazards when reversing. 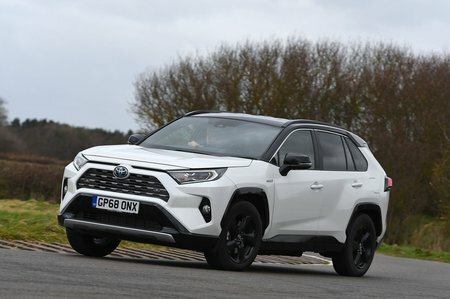 That said, the RAV4 comes with enough aids to lessen the fear of parking in tight spots, with both rear parking sensors and a reversing camera standard from entry-level Icon trim. Upgrade to Design trim and you'll get parking sensors at the front, too. Another welcome feature is the RAV4's standard LED headlights. Infotainment is undoubtedly the RAV4's biggest weakness. The first problem is the hardware, because the 8.0in touchscreen is quite low in definition compared to what’s available in rivals — the Skoda Kodiaq being a good example of a system that offers pin-sharp screen resolution and superb graphics. Then there's the operating system, which isn't especially user-friendly and takes a while to get your head around. 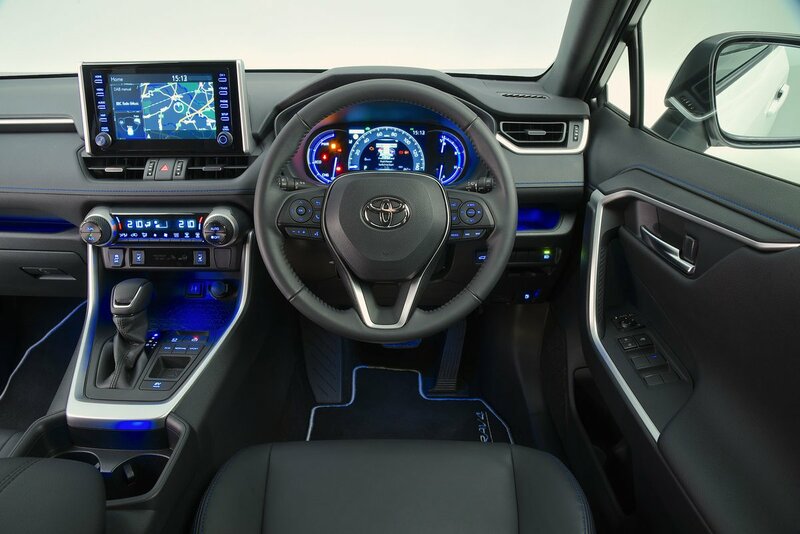 However, the biggest gripe is that there’s no smartphone mirroring such as Apple CarPlay or Android Auto – a feature you can more or less take for granted among the RAV4’s rivals – which would allow you to use smartphone apps, such as WhatsApp, Google Maps and Waze, through the car’s touchscreen. The latter two would be especially useful on the entry-level trim, which doesn’t have in-built sat-nav. At least the screen is positioned nice and high up on the dashboard, meaning you don't need to divert your eyes far from the road to view it. You get a DAB radio and Bluetooth on all versions of the RAV4, too, and the JBL stereo that's optional on the posher trim levels delivers good sound quality. Most of the materials on the upper surfaces look smart and feel relatively plush. In short, the RAV4 feels more upmarket inside than the rival Honda CR-V, which is tarnished by a greater amount of hard, shiny plastic and obviously fake wood trims. 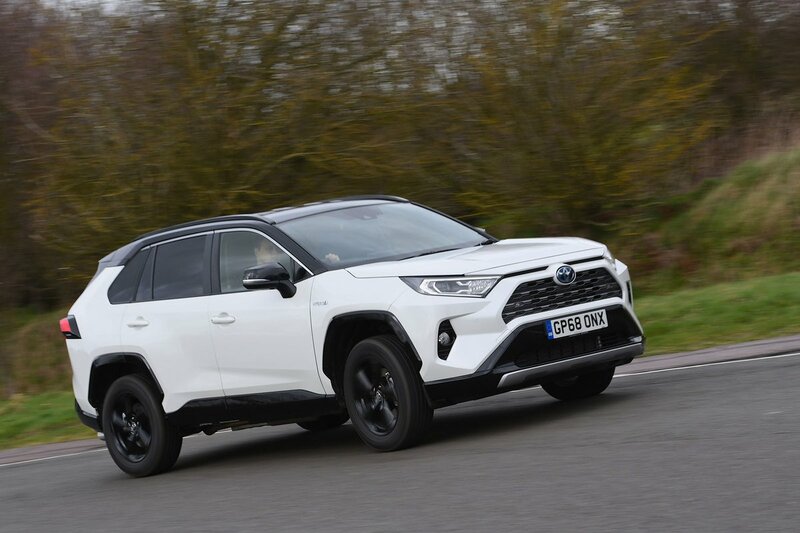 The slick action of the RAV4's switches gives off an air of integrity, and the rubberised finishes, such as on the controls for the air-con, add to its rugged SUV appeal. If you’re searching for the visually spectacular, though, nothing at this price beats the Peugeot 5008’s striking interior, which makes the RAV4’s appear a mite staid. Though similarly conservative in design, the Skoda Kodiaq and Mazda CX-5 also have classier interiors than the RAV4 and feel that bit more solid inside.